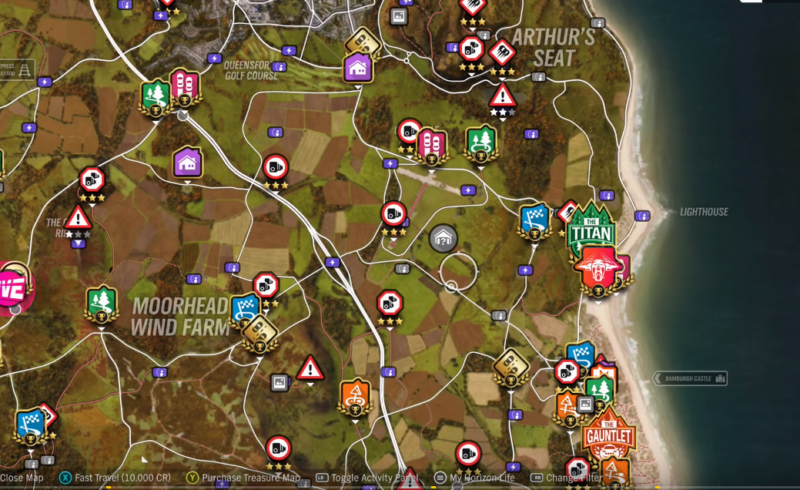 The Goliath is easily one of the most well known end-game races in Forza Horizon 4. You can find YouTube videos on it easily as it’s one of the longest races (24 miles for a lap) you’ll face in this game. Here’s how you can unlock The Goliath race alongside with other races (Colossus, Titan, Marathon and Gauntlet). 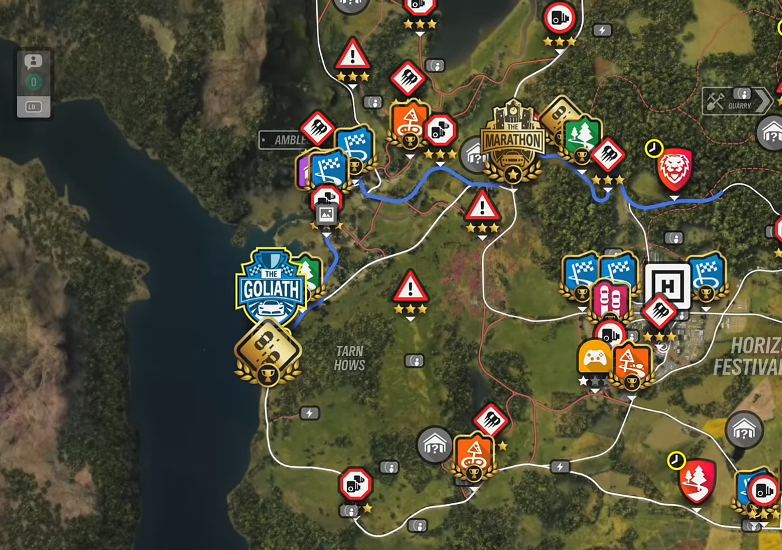 All you need to do to unlock The Goliath is to keep doing the Road Racing series. 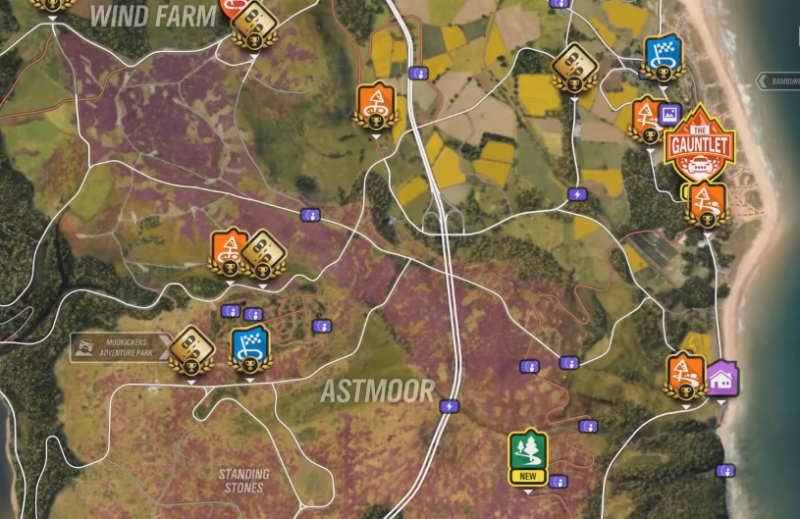 You need to hit level / tier 20 on that Road Racing series to get The Goliath on your map. To reach level 20, you definitely need to do road racing many times on the same race repeatedly. If you need to unlock it quick, try using a car that gives you extra influence bonus points as its perk. For e.g. you can use the McLaren Senna or even the Forza Edition Zonda R.
And that’s about it. 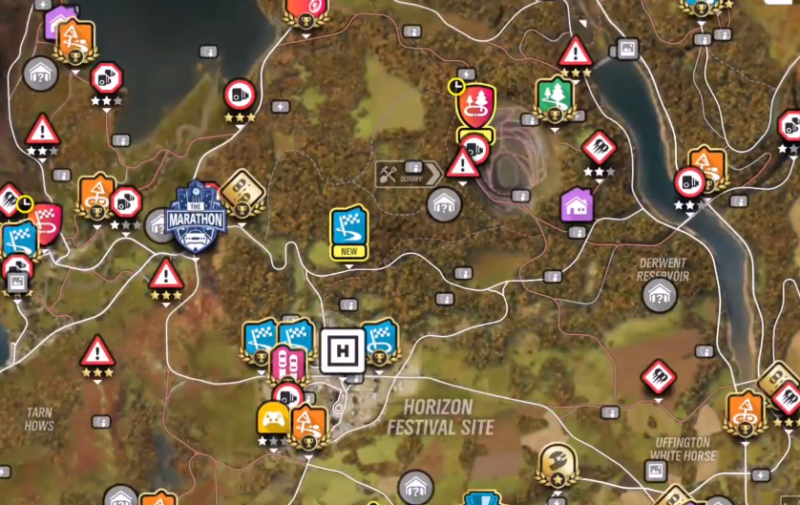 You can also complete an achievement “Reaping the Rewards” if you complete a race of 3 or more laps at The Goliath using a Forza Edition car. By the way, if you choose the Rivals mode, you can actually play The Goliath even before reaching level 20 on Road Racing. Finish all of the available Cross Country racing series, which is around level / tier 9 or 10. Finish all of the available Street Races which is around level / tier 9. Finish all of the available Road Racing series, which is around level / tier 9. This series has both The Colossus and The Goliath. Finish all of the available Dirt Racing series, which is about level / tier 9. 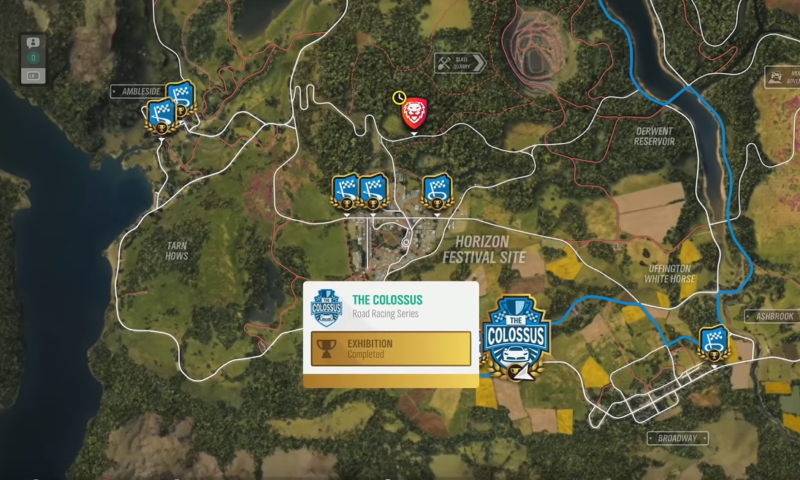 For The Marathon, The Colossus, The Gauntlet and The Titan, you have to finish the available races before you get introduced to the final “big one”. The level is probably not fixed. The Goliath on the other hand is the hardest to unlock since you need to hit level 20 for Road Racing.